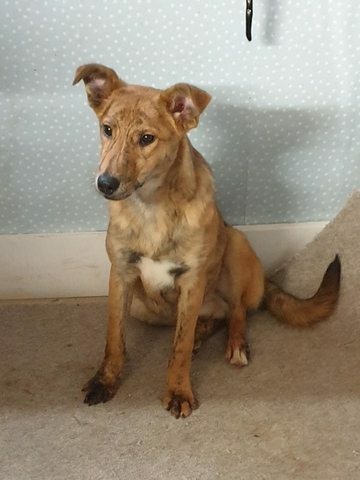 Wes is a 4- 6 month old male Lurcher. He is a smashing puppy. Really socialable and well adjusted. He gets on with every person, and also with all the dogs he has met. We are told he has met cats without issue also. He knows how to walk on a lead and enjoys his walkies over the fields. Happy to go with other dogs or just by himself. 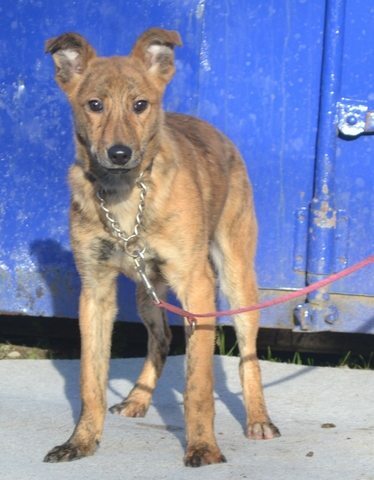 He has kenneled with other dogs and also on his own. Loves a fuss but also can entertain himself with chews and toys. Wes is a great boy with a lovely personality. He will make an excellent family member in his new home. Advised okay with cats. Vaccinated, wormed, micro chipped and vet checked.